A leak might seem more like a minor blemish on owning a home than the actual problem that needs to be quickly dealt with. The truth is, that ignoring a leak and letting it continue can mean a more expensive repair down the road. We explain why that is, and how you can stop it. 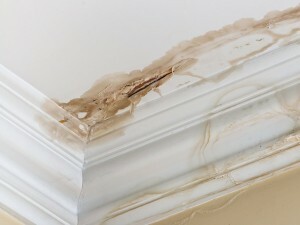 A leak may appear small, but in some cases, a leak can be the start of a much more serious problem. Leaks definitely cost you money. Having a leak means that you are paying for wasted water, that can range between 2,000 to 20,000 gallons. A leak in a pipe that runs through a wall or, worse yet, a ceiling, can mean water damage to the actual home that you will need to pay for if you want to keep your home in good condition. Worst of all, a leak can mean that your pipes are undertaking damage, and the longer you ignore it, the worse and more expensive the repair to the pipes will ultimately be. You can’t deal with a leak until you know its location and understand the extent of it. The very lucky will have no problems tracking down a leak if it’s on a faucet and just needs a tightening with a wrench to deal with it. Other leaks can occur in toilets, water heaters, water pipes, or sewage pipes and each brings its own challenges. Track down a leak as best you can, and try to gauge how much water is leaking. If you can use your water meter to track how much water is being lost, even when you shut off the water, you, unfortunately have a very big leak. The best way to avoid an expensive repair is to not let a problem escalate to the point where it requires major intervention. Prevention is the best way to achieve that. If you inspect your pipes occasionally, you may catch leaks that can then be addressed as minor problems rather than major ones. If you want to keep your pipes “healthy,” then exercise a little care with how you use them. Setting your water to be delivered at a higher pressure can actually shorten the lifespan of your pipes, causing them to fail earlier. 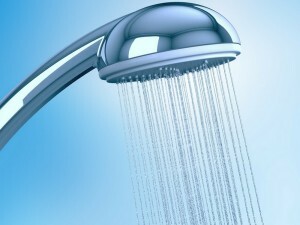 In the same way, using “hard water,” (water that has a high mineral content) can over time damage your pipes. Compared to soft water, which is gentler and has fewer erosive or corrosive effects on your pipes.